The Lake State Railway started by purchasing the Detroit & Mackinac Railway between Rogers City and Bay City via Alpena. Later it leased CSX lines from Midland via Saginaw to just north of Flint which it operated as the Saginaw Bay Southern. The northern end of the line was pulled up north of Alpena. Much of the LSRC north of Bay City is aggregate traffic, mostly gravel quarried in Alpena which is brought south to trans-load facilities. Major customers of the company are Dow Chemical, LaFarge and others. The LSRC originally powered the line with old ALCO diesel locomotives purchased from the D&M, but the line began converting to EMD products which is fully complete. 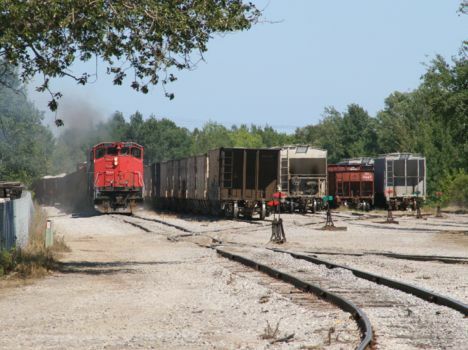 The company's major engine facility and operations headquarters is at the former CSX yard in Saginaw.